Now that you’ve written it, it’s time to follow through. I’ve read of authors reading and rereading their manuscripts over and over again, with one read-through focusing on something like word choice, where the next read-through works on plot/character development, and each successive reading tackles something different. 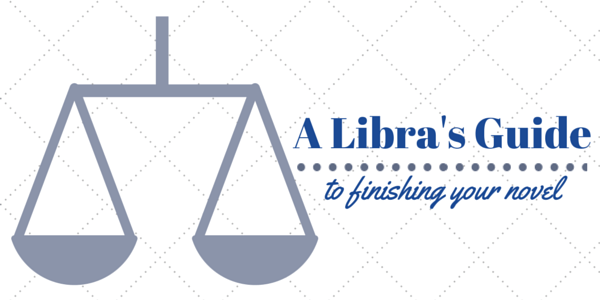 I don’t know about you, but my Libra brain nearly exploded at the very thought. When I think about revising my novel, it’s sort of like baking a cake. You put the ingredients together, mix them up, and bake them for half an hour. Then, just as you planned, out comes a supreme cake, worthy of Martha Stewart’s approval. But then you have to decorate it. Then you have to put it on display. And then you have to cut it up and serve it. And God forbid that it collapses or crashes, and you have to start all over again. Every writer has to revise. It comes with the job description. You have to make sure your novel is ready for an editor (paid or otherwise). Think of your favorite book. Your very, very favorite–the one you’d save from Guy Montag if he came to burn your house and every book inside of it. Now think of that book in its naked form–fresh out of the oven, ready for skilled hands to tweak and decorate before giving it up to the masses. There were mistakes in that book. That book had to be revised. And so will yours. My method is pretty straight-forward: read, tweak, repeat. I have a number of tools in my belt for that, including the novel’s outline, a scene/chapter checklist, and a lovely revisionary infographic, made my yours truly, to keep me focused. Feel free to save this infographic, use it, share it, the whole nine. In the end, it’s all about your goals. What writing goals have you set for yourself? Know them and accomplish them. Have accountability, keep yourself honest, and get that novel written! Set a schedule, use incentives, and relish in the pride of completing a manuscript that is ready for publication. The world is waiting for your novel. Write it. What revision methods do you use? Let me know in the comments! Looking for some additional guidance? Follow Vivien’s board Novel Revision on Pinterest.